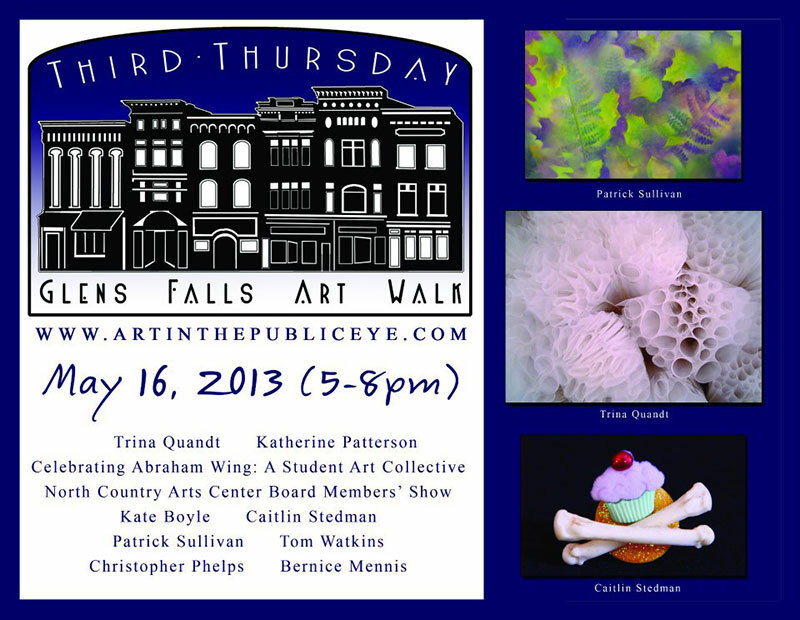 I am very happy to announce that I have been selected as the featured artist for the Third Thursday Art Walk in Glens Falls for the month of May, sponsored by Art in the Public Eye! I am thrilled and honored to be chosen and can’t wait to show my work at Elevation Pilates, located at 19 Ridge Street in Glens Falls. I’ll be showing a variety of sculptures created over the last twelve months, and prints will be available to order during the opening as well as by phone or email. If you can’t make it to the show and are interested in ordering prints or purchasing one of my pieces, please don’t hesitate to contact me! See you on May 16th, 2013 from 5-9pm.